A weekend away at the beautiful Blue Mountains recently has me thinking of rustic log cabins and roaring fires. 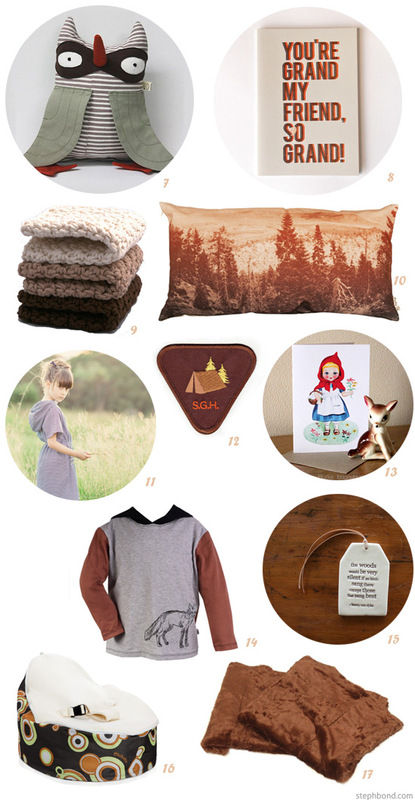 Here are some gorgeous Australian-designed rustic homewares and products for kids, Inspired by the Take A Hike With Me collection by PonyRider. 5. Croc (Desert) single quilt and pillowcase set by Kip & Co. So super to see my dear friend and all round rad maker's work here - Olive and the Volcano letterpress notebook. Yah! This is a lovely round up Steph. Feeling all Wintry and cosy. PS Oh Miss Ellie Beck - you say the Grandest things!